A security camera is a good investment that provides security to your family. Read on to learn what to look for in the best outdoor home security cameras. Are outdoor home security cameras effective in preventing theft? A recent study found that 83% of burglars first look to see if a home has security cameras before breaking in. Plus, 60% of thieves typically avoid homes with security cameras. An outdoor security camera protects you and your family while you are home and away. Outdoor home security cameras can be placed anywhere from front doorways to fenced gates. There are wired or wireless options for you to choose. There are hundreds of models to choose from. 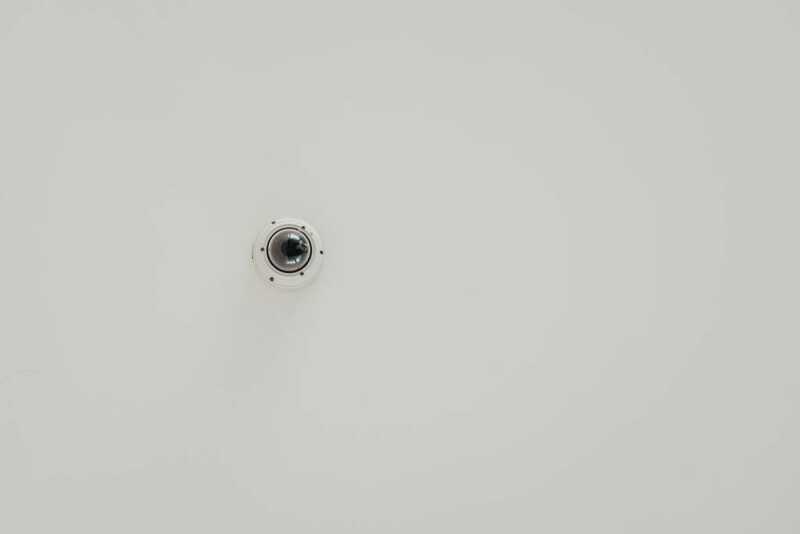 Read on to learn the key things to look for when you go to purchase any outdoor home security cameras. Outdoor home security cameras are installed via wired or wireless technology around the property to monitor the area. They are connected to a central control center that allows you to view everything the camera sees. Most are programmable to record at specific times, when they sense motion, or whenever you push record. Here are the features to consider before purchasing your own. Where you plan to install your cameras matters. Placement will determine how many cameras you need and how durable they need to be. If they are on a covered porch, they are relatively protected from the elements. However, if you will place your cameras on trees, siding or driveway, they will need to be rugged. The standard resolution for most outdoor home security cameras is 1080p. The more megapixels, the higher the capacity for a clear picture when you zoom in. Digital zoom allows you to crop and enlarge the camera’s recording. This may be handy when looking at your feed if you need greater detail. Be mindful of what the camera lens will capture. All outdoor home security cameras come with wide-angle lenses but the angle of the lenses varies. This constitutes the field of view. Know exactly the size of the area you want your camera to capture before you buy. You’ll want to choose the right field of view to avoid disappointment. The wider the field of view, the larger the area the camera can record. If you purchase a camera with an excellent field of view, you may be able to get away with just two cameras instead of four. Keep that in mind as you compare prices. You could save money by having to buy fewer cameras. Night vision capabilities allow a camera to record clear images in low or no light. Night vision is useful as suspicious or criminal activity may take place in the dark. Does the camera receive sound through a microphone? Does the camera give off sound from a speaker? Does the camera do both? Cameras with both microphone and speaker functions can double as intercoms. Similar to the motion sensor lights that are often installed on home porches, home security cameras can often also detect motion. A camera that has panning or tilting capabilities can record more areas than a static camera. Motion sensor technology allows your camera to focus on the area where the disturbance is happening. This is beneficial if you need to use the recording as evidence. Again, like the field of view, this feature may make the unit more expensive, but it can reduce the number of cameras you need. Whenever movement is detected, you will receive a notification. This allows you to take action as needed. Some outdoor home security cameras can tell the difference between an animal, a car, or a person. Super techy ones are delving into face-recognition technology. Cool, right? You might not need all the bells and whistles, but you should consider the benefit of motion detection in the event of suspicious activity. If you plan to check on your home from work or during vacation, connectivity is essential. Many outdoor home security cameras connect to wi-fi. Bluetooth is another choice for connectivity. This allows local control and access via your smartphone. Mobile apps are commonly included with the newest home security cameras. These apps will allow you to connect your cameras to your home network. Then, you’ll be able to access your camera’s view from any smart device. Some cameras come with micro SD cards that fit inside the camera. This card stores your video footage. It can be removed and inserted into an SD card reader on your computer to access the footage. Other home security cameras use cloud services for storing footage as well as providing remote access to that storage. Be careful about understanding the cloud service offered. Take into consideration the amount of free cloud services. Most cloud storage solutions only allow minimal free storage and require you to enroll in a paid subscription to store more. Find out how long the data will be stored. It’s no good to you if the footage is wiped clean before you can review or download it. Be sure to ask how much total footage can be stored. Will your footage be deleted every day? Every week? Even fake cameras can deter theft. They’re perfect for use in areas where genuine security devices would be impossible to install. Plus they come in at a fraction of the cost. These fakes are incredibly realistic. They come with blinking lights, zoom lenses, motion sensors and even video cables. Fake cameras are a good choice if your budget is small but you want peace of mind. Fake cameras are an effective, hassle-free security solution. Check out reliable chimesfor real and rake cameras to suit your needs. Now you know the various features of outdoor home security cameras. We hope this post will help you make an informed decision for your specific needs.